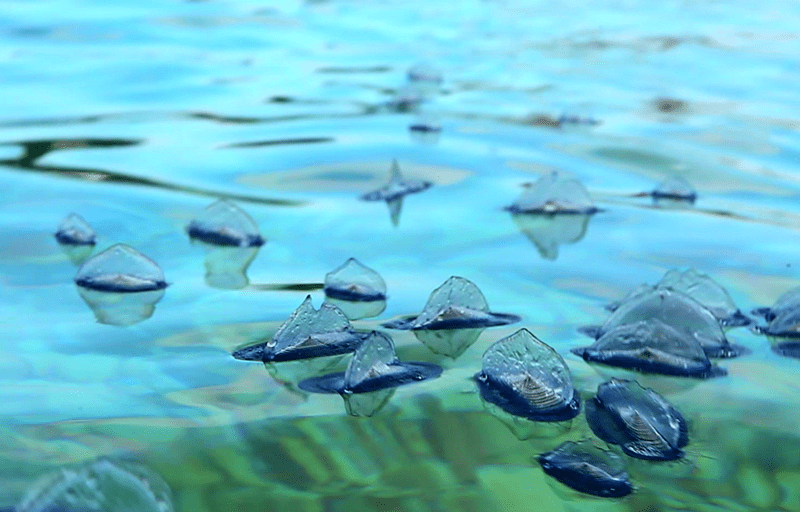 Velella jellies look like toys, 3 cm long with a triangular crest. 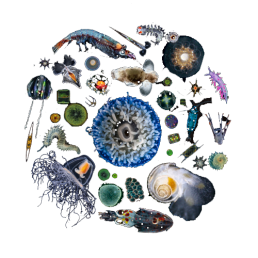 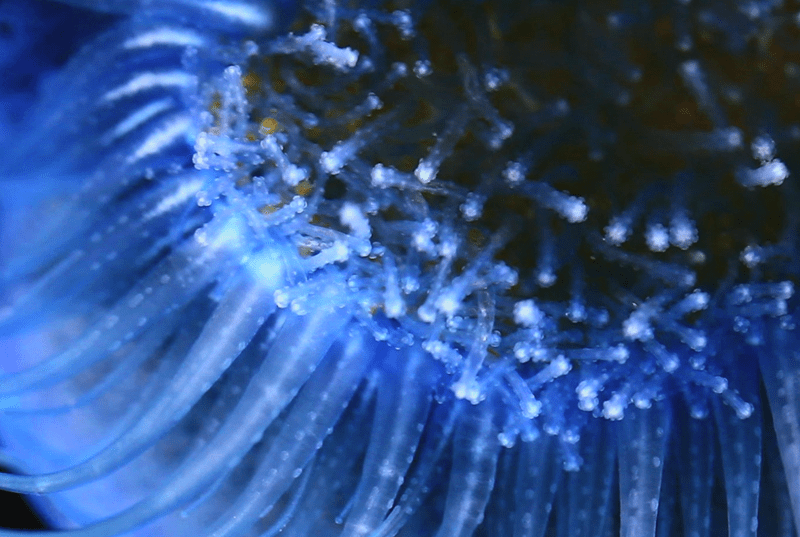 Underneath theirfloats, masses of polyps and tentacles help ballast these tiny sailboats. 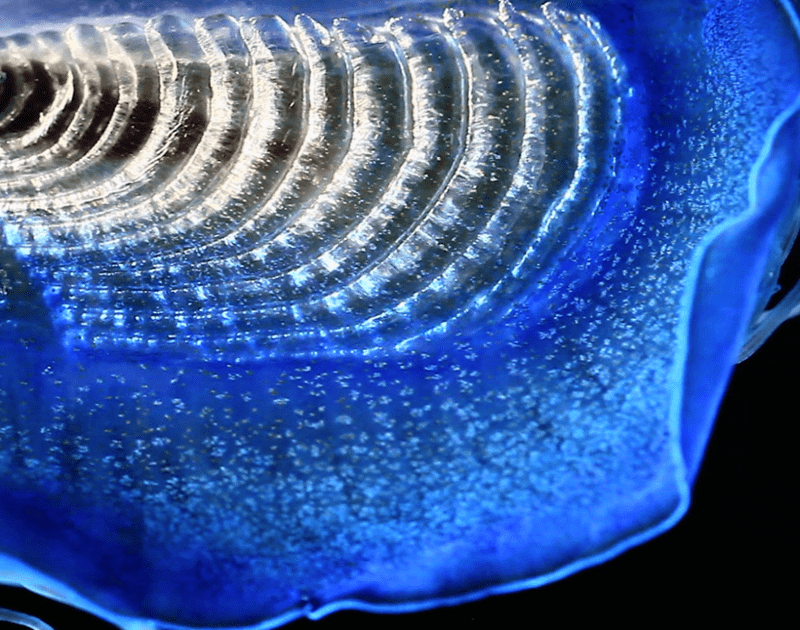 Velella are close cousins of jellyfish, feeding on fish eggs, larvae or small shellfish. 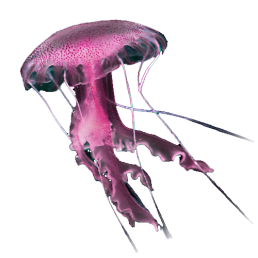 They hunt using stinging tentacles and that pull their prey into the central cavity. 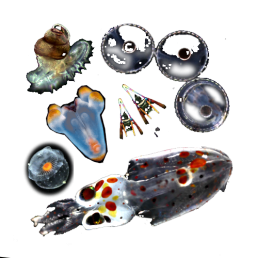 But is this just one animal? 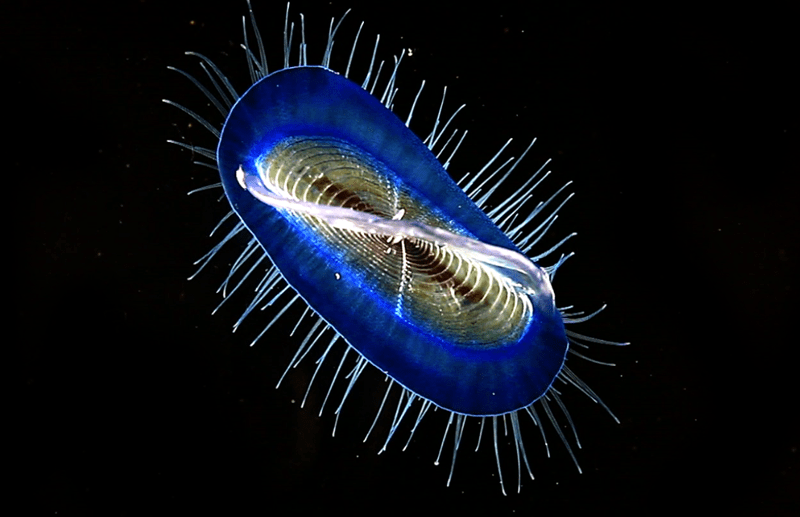 Velella are in fact colonies of polyps located under the vessel. 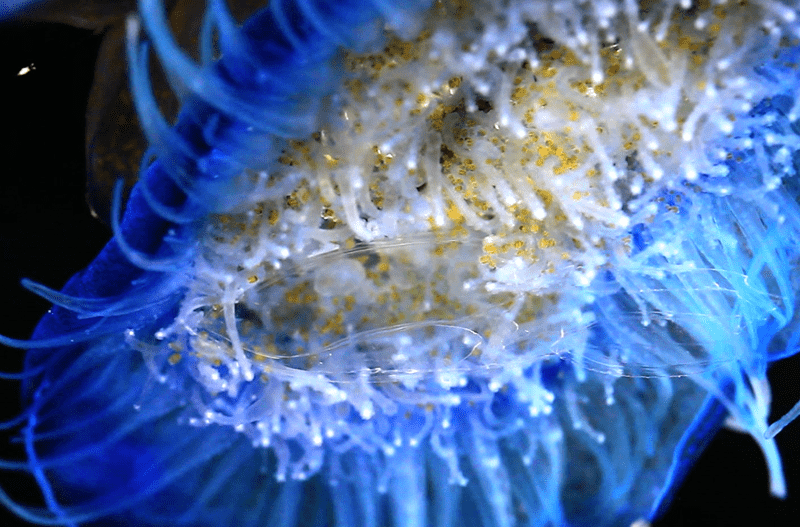 A central nourishing polyp, blue tentacles, and reproductive polyps, all working together. 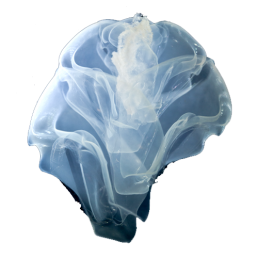 The reproductive polyps hatch microscopic jellyfish, both male and female, ensuring future procreation. 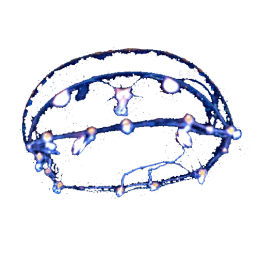 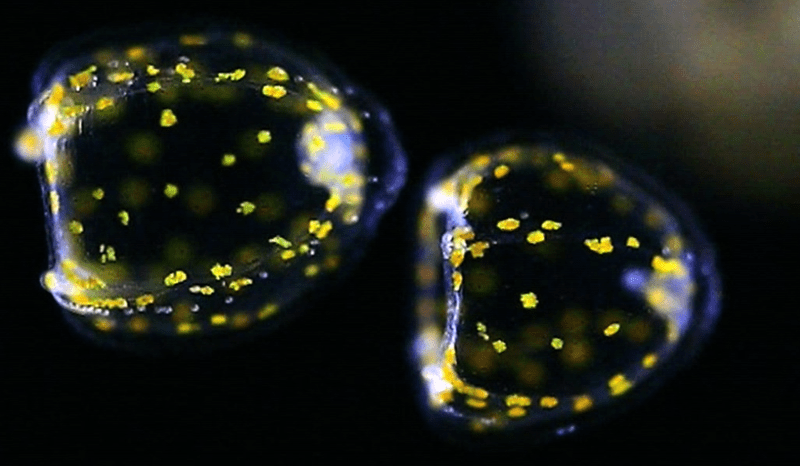 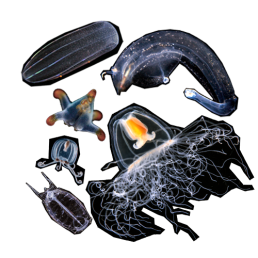 One or two weeks later, larvae will rise to the surface and grow into adult planktonic vessels. 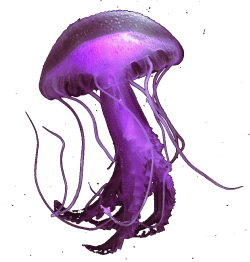 Their sails are positioned to the left or right. 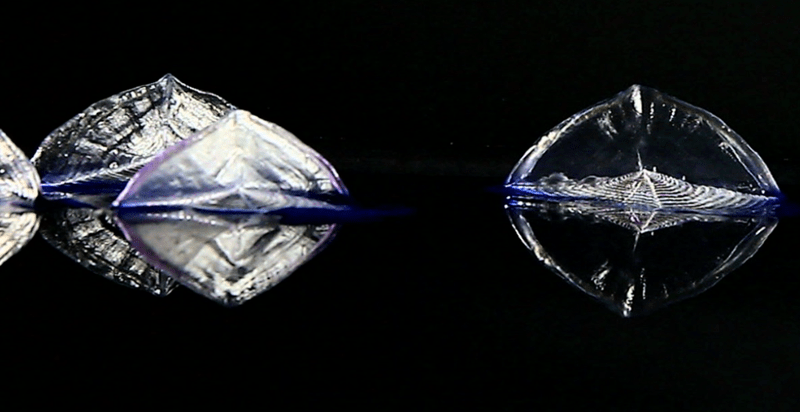 Depending on wind direction, velella will be dispersed one way or another. 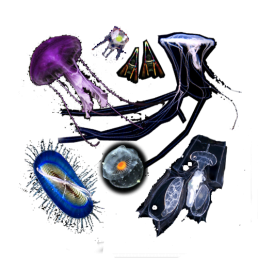 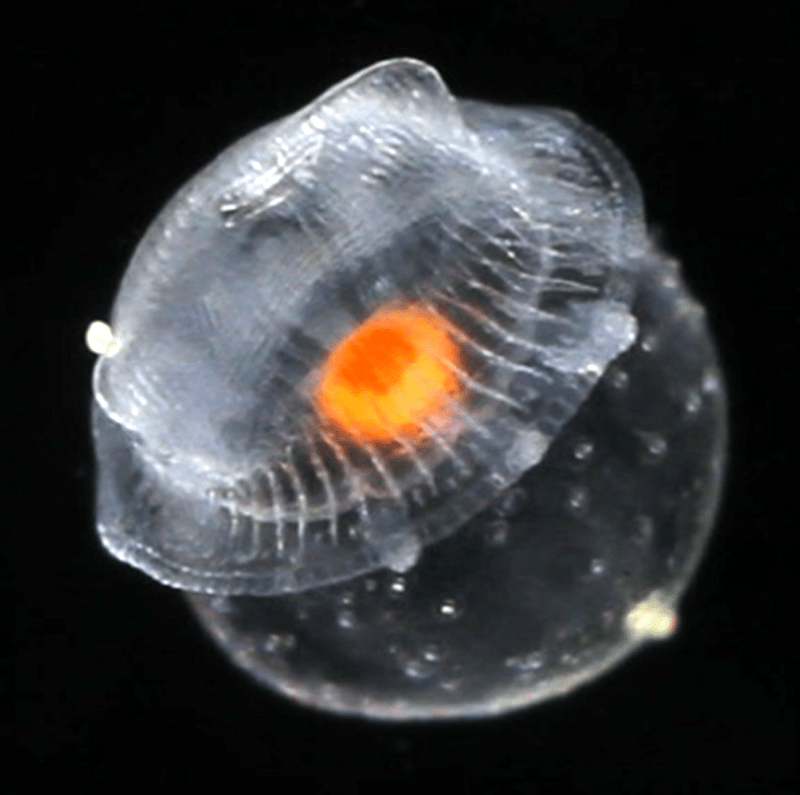 These floating vessels can be seencoasting on the surface of warm waters in very large numbers. 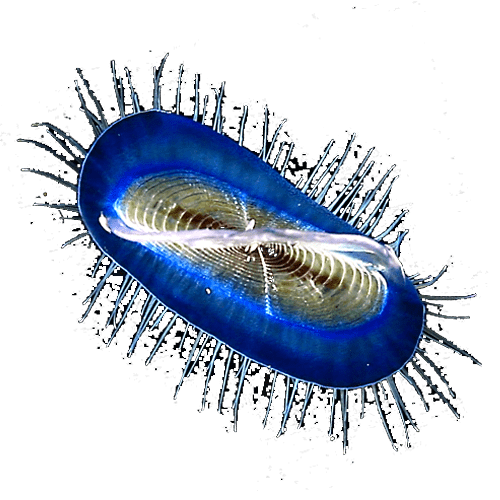 Carried by the wind, they often wash up on shore, forming blue fringes several miles long.